The farm is a working cattle ranch, which was established in the late 1940’s, after the renowned geologist Mr. Henno Martin (author of "The sheltering Desert") had located the first underground water source in this arid area. 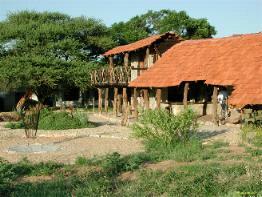 The farmstead lies at the foot of the “Kudu” mountain, in the close vicinity of the Waterberg Plateau. It is surrounded by a large garden, offering an abundance of shade and relaxation. The lush garden is complemented by a swimming pool and a uniquely built Lapa, which also houses the wood fired steam sauna and indoor fire place, to be enjoyed during the cooler seasons. Meals served are mainly of own produce and the vegetables and fruit are produced organically. The meat served is considered “happy meat”, since it is acquired from free ranging animals only. 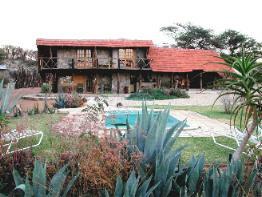 The accommodation is located in the old farmhouse with an air of tradition and warm hospitality. The five double rooms have their own bathrooms en-suite; incorporated is a friendly living room with a library of books and a shady veranda, facing the greenery of the garden. 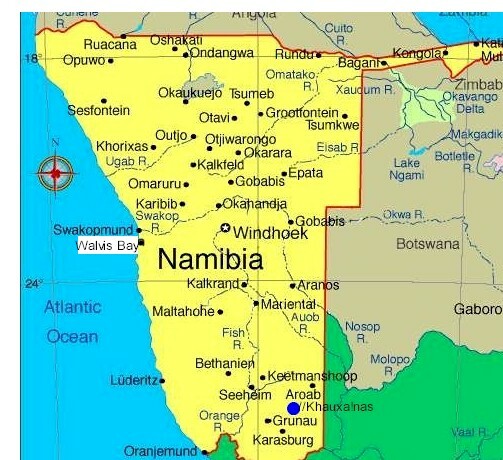 The name African Wilderness Trails is derived from one of the few remaining Wilderness Areas of Namibia, a valley, tucked away behind the Kudu mountain on the 11thousand hectare (25,000 acre) farm. As defined by the international Wilderness Society a “Wilderness Area” is an area of pristine nature, void of human activities and where mankind is only a visitor. Hosts thus treat you to a two or three-day hike into this unique wilderness area, overnighting in a fly camp on the edge of the hidden valley and enjoying meals cooked on the open fire. 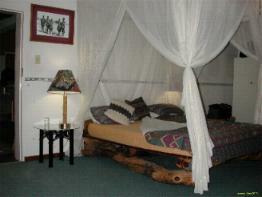 While being in the African bush you will enjoy the peace and tranquility that only Wilderness can offer. Nature drives, hikes, photography excursions, nocturnal walks and trips to nearby attractions such as the Cheetah Conservation Fund are just some of the other activities on offer. The last remaining roosting and nesting site of the Cape Vulture is at the cliffs of the nearby Waterberg Plateau. At African Wilderness Trails hosts have a so-called vulture restaurant, where wild vultures are being fed for observation and research purposes. Vulture feeds have to be prearranged, before your visit. for 28 km where African Wilderness Trails is situated on the left. 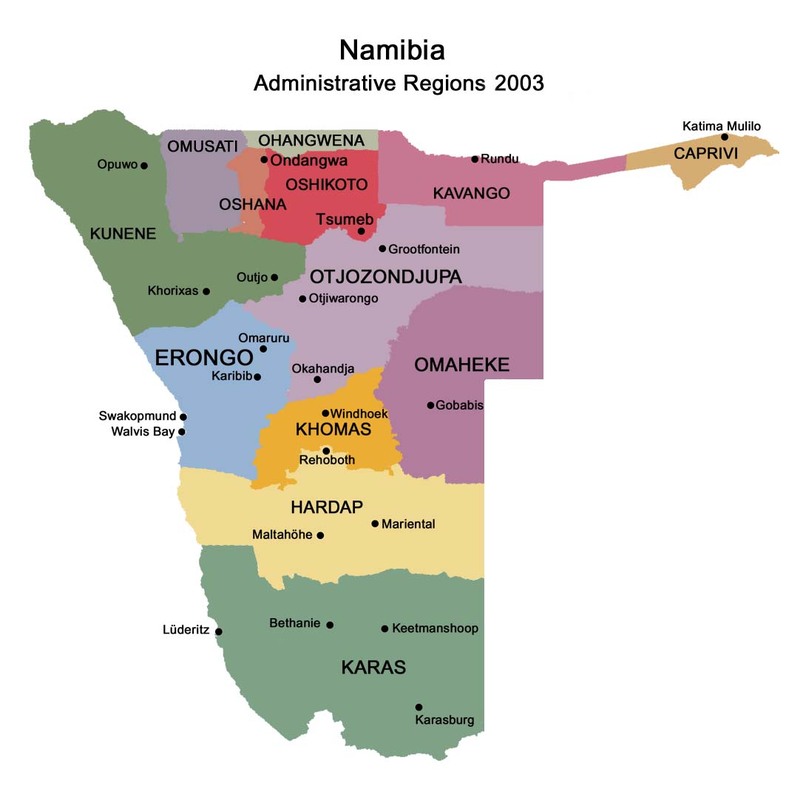 From Otavi: travel south on B1 for approximately 80 km and take the turnoff D2433 as above.